Join us as Galveston’s Historic Downtown Strand District is transformed into a melting pot of flavors! From award-winning cookers to backyard roux roughnecks you will want to get in early to try them all. How It Works –Teams lining the Historical Strand District will dish out a sample to festival attendees who have purchased an official Gumbo-Tasting Cup. Walk around and try countless samples for the 4-hour span, enjoy the live music & cold refreshments. While tasting the teams’ gumbo be sure to vote on Best Team Showmanship! Don’t forget to turn your showmanship ballots back into the Main Info Booth! Note: Main Info Booth is located at Saengerfest Park at the corner of 23rd and Strand. 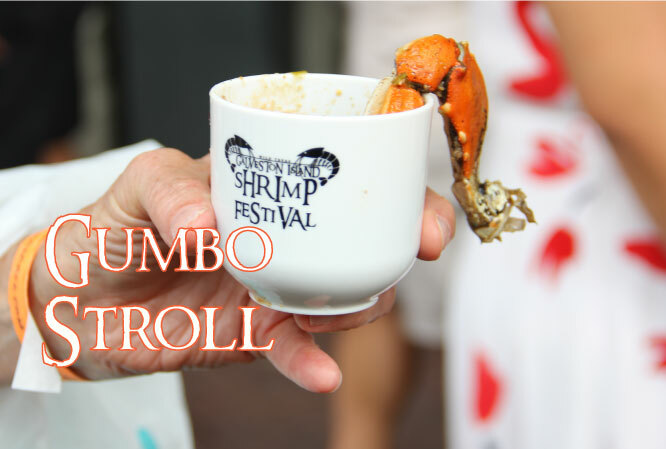 Want Shrimp, but don’t want to do the Gumbo Stroll? NEW this year! Purchase our Shrimp Dinner and Beer Combo that includes: a plate of fried shrimp, a cup of shrimp gumbo and one 16oz beer! Must be 21 years or older to purchase. Redeem in Saengerfest Park at 23rd & Strand. September 29, 2018, 12-4 pm. ***This ticket option does NOT include the Gumbo Stroll. PURCHASE IN SAENGERFEST PARK! 23rd & Strand. 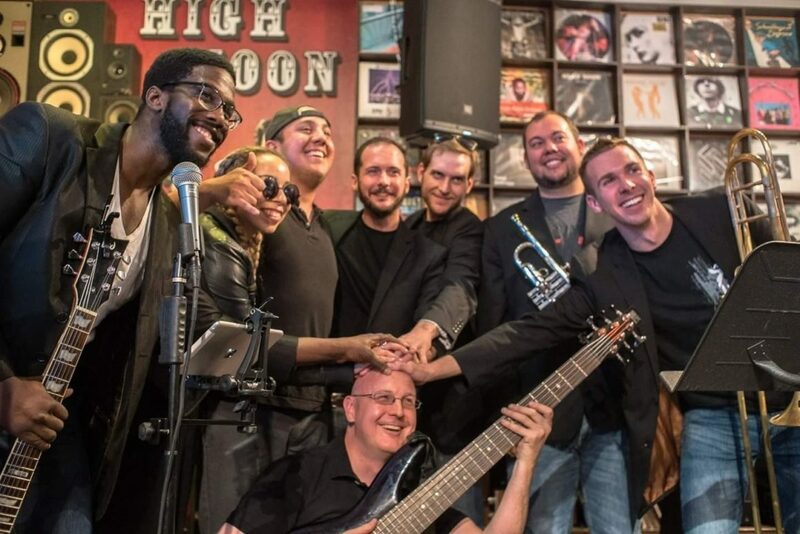 Performing at Shrimp Festival 2018 ~ The Heights Funk Collective!